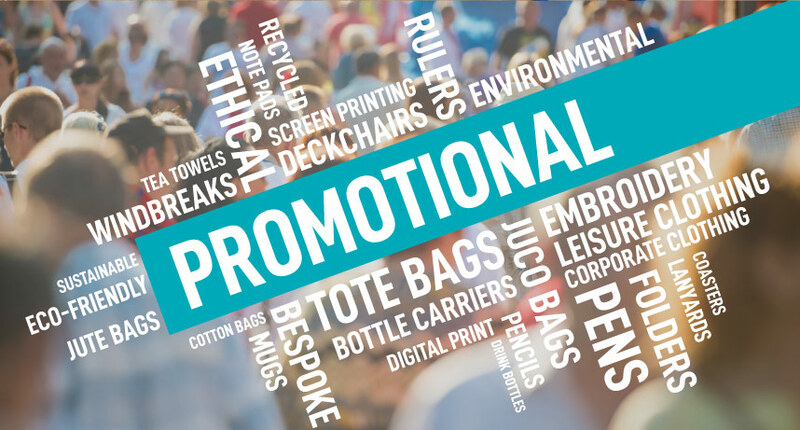 We’re the Number One Promotional Bag Company but did you know that we’re the home of all things promotional. 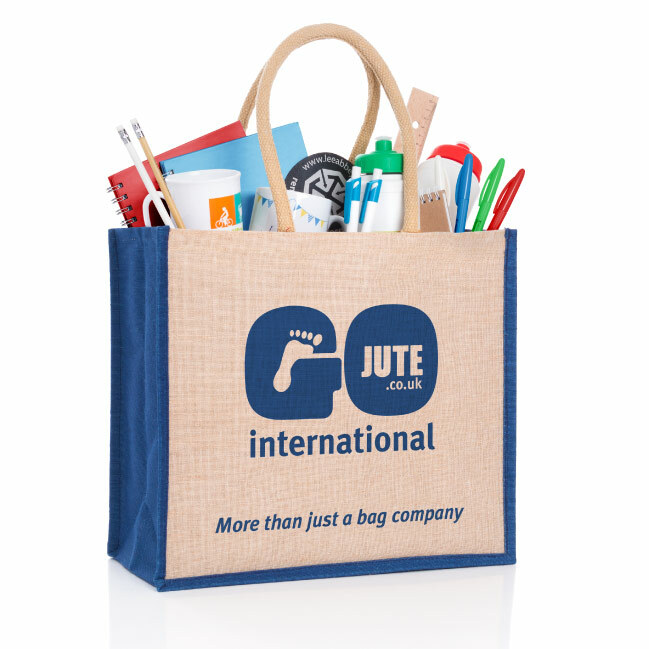 Our team at GoJute are experienced in helping you to choose the perfect promotional or corporate product for your business or event, offering great value products such as promotional pens, mugs, tea-towels, clothing, windbreaks, deckchairs and other various types of promotional gifts. 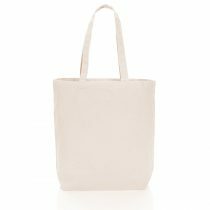 Rest assured, all our promotional products are part of our environmentally-friendly range. 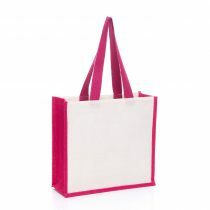 Bags Branded bags are one of the best ways to promote your business name, charity event or marketing campaign. Sold from your shop, or given-away at a conference or event. 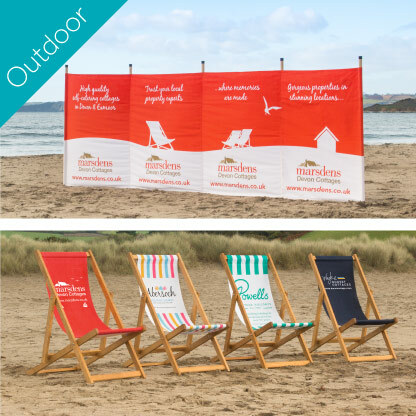 Windbreaks and Deckchairs Whether you are simply going to the beach or creating a stand at a festival or event, you can be sure that your branded promotional windbreak or deckchair from our sister company South Westerly will look the business. 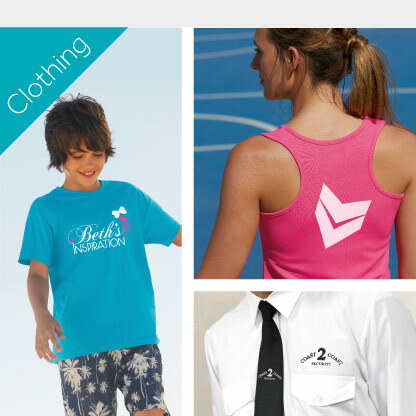 Clothing Personalise your clothing. 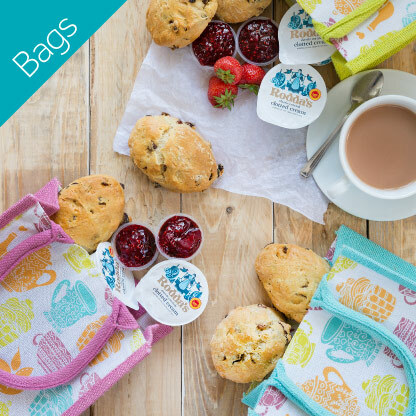 We offer a printing and embroidery service to personalise or brand your items to help enforce your brand or cause. We cater for orders of any size, from individuals to large businesses. Tea Towels Who needs a tea towel? Well…everyone, of course! They’re found in every kitchen up and down the country. 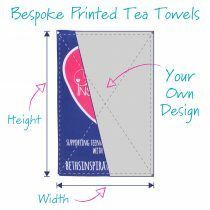 A blank tea towel is a canvas waiting to be filled with your message, brand or bespoke design. 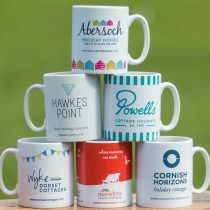 Mugs Affordable and effective; giving promotional mugs to your current and potential customers aides brand awareness, improves their opinion of your company, helps them remember your products or services. 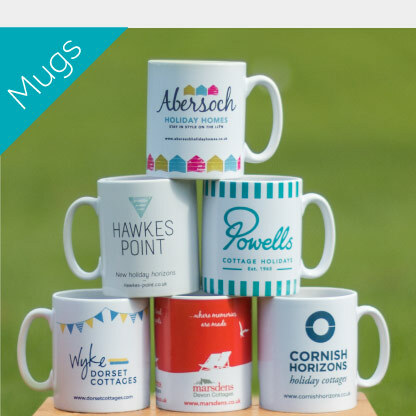 We strive to provide you with high quality products and a fast delivery, just email or call us and our designers will add your logo to any product you select and help get your message across in a highly effective way. 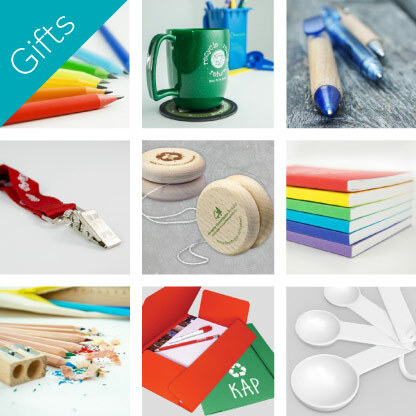 Our range of promotional products are environmentally responsible and ethically sourced, produced from recycled, biodegradable and sustainable material. Your brand promotion has never been so green! 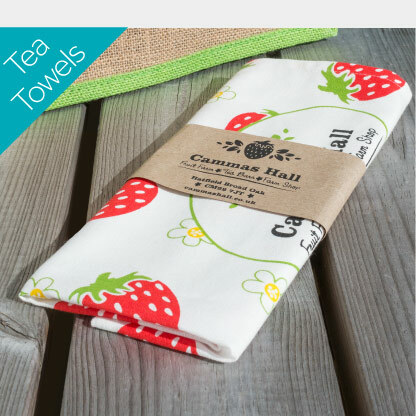 Bespoke Tea TowelsPrinted with your design.